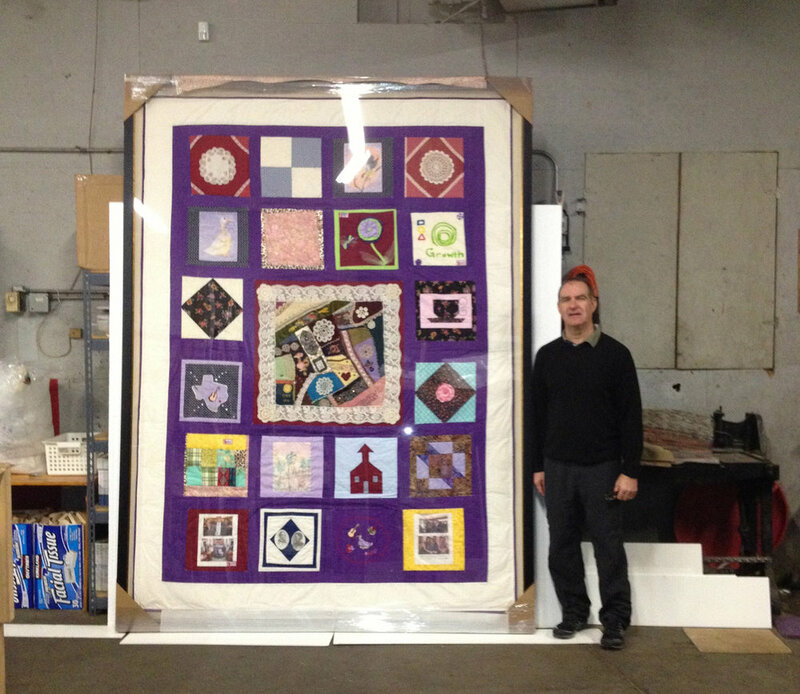 Hang It is a full-service custom picture framing company located in NE Minneapolis. The company was founded in 1995. We pride ourselves on our wide selection of frames, attention to detail, and customer service. Many of our skilled framers have been with Hang It for 15+ years working with our loyal customers. All of our work is completed in house at our NE Minneapolis location. We work with anyone from artists to large corporations and are able to cater to your design needs and budget. Our motto is "Anything You Want", we can handle any project that deals with art and picture framing while providing great service to our clients. You don't have to sacrifice quality when framing on a budget. We offer everyday in-stock framing specials on a standard black wood, white wood and black metal frame. Not interested in black or white... We have an ever changing selection of ready made frames and stock moulding that are discounted. Posters to fine art...the right frame makes all of the difference. Hang It specializes in high quality picture framing with an extensive selection of frames from the U.S. and abroad. One of our skilled framers will help you design a look that fits your aesthetic and budget. With backgrounds in art and an average of 15 years of experience in the industry, we are here to help you make your artwork look GREAT! We take pride that the person helping you design your framing is also the craftsman that does the work!! We have a standard 10 day turn around time - with options to get your framing done even sooner to meet your deadline. Hang It creates custom mirrors to fit any space. Whether you are looking for the perfect vanity mirror or a mirror for your dining room, we can help you create the look you want in the size you need. 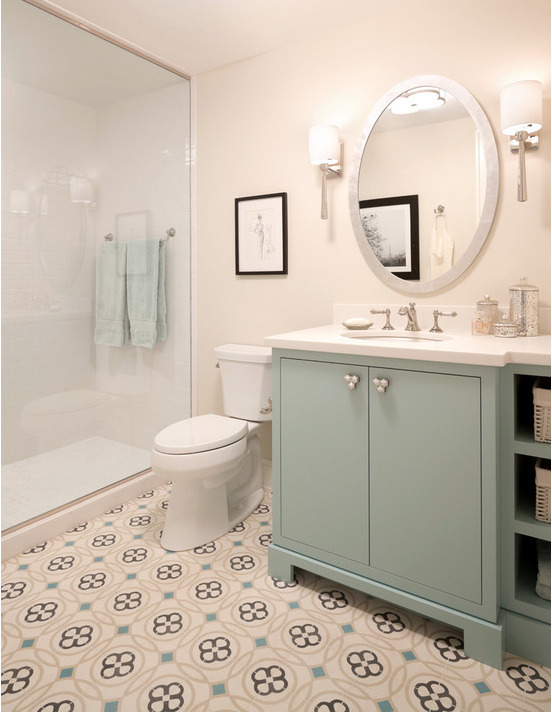 We offer both framed and frameless mirrors, standard squares and rectangles as well as shaped mirrors. 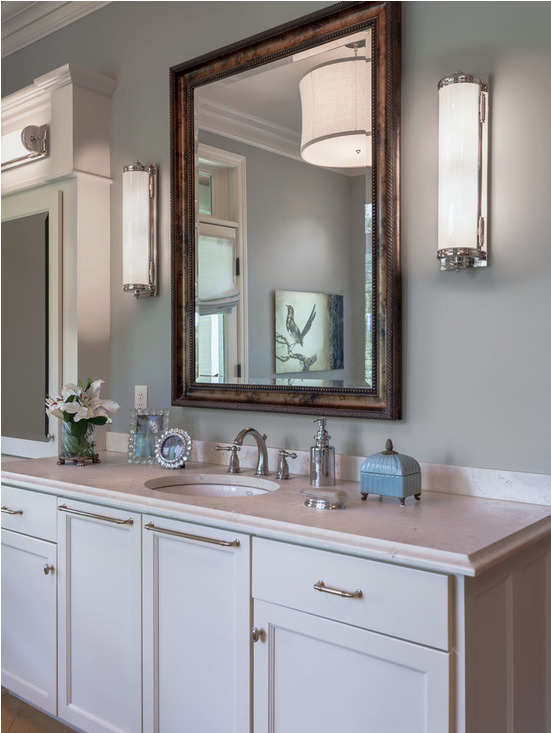 We can also cut holes in the mirror so your sconces can fit right on top of the mirror. Not sure on the size? We can come out and measure your space to get the right size mirror. Bensch Canvases that we stretched and framed for US Bank Stadium. Very large canvas that we stretched and framed. Schleif canvas of Prince that we stretched and framed for US Bank Stadium. 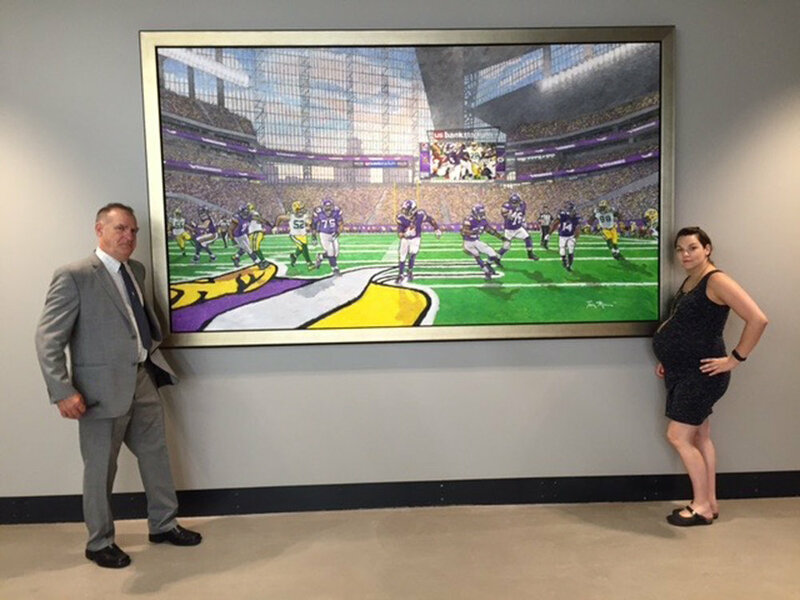 Large canvas by Tom Mosser that we stretched and framed for US Bank Stadium. The Hang It crew at the art opening for the US Bank Stadium - standing in front of the Prince piece that we stretched and framed. We have extensive experience stretching canvases in every size. You can choose from a 3/4" or 1 3/4" stretcher bar that we stock. All of our stretched canvases are ready to hang - or you can add a frame and jazz it up. 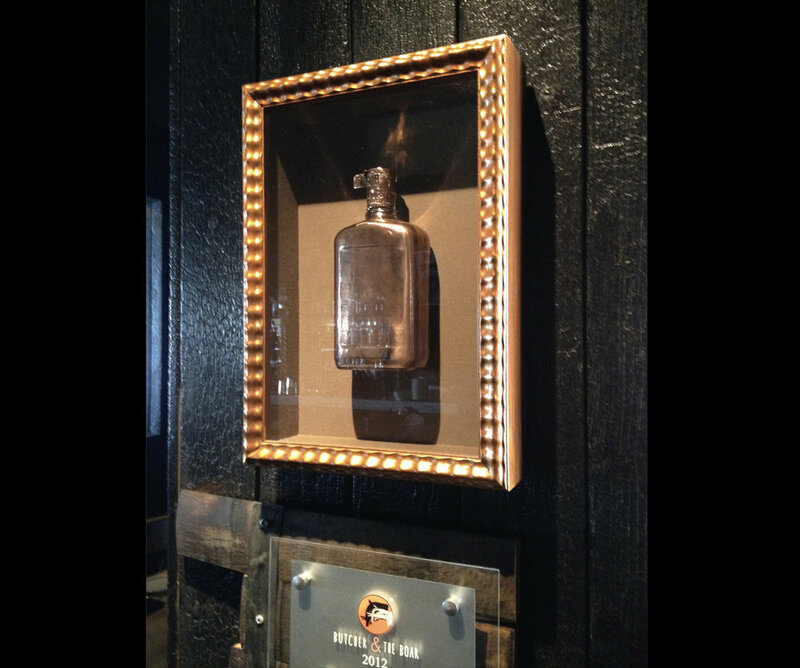 One of many whiskey bottles that we have framed for The Butcher and the Boar. A custom plexi box that we designed to showcase 9 of Carl Eller's ceramic bowls for US Bank Stadium. A shadowbox that we created to fit Joe Mauer's catcher uniform. We had to custom mill a frame to fit the depth of all the equipment. The shadowbox was auctioned off at the All Star Game at Target Field. 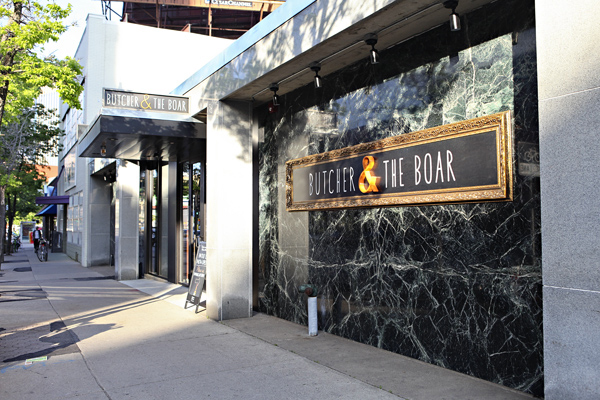 A custom frame that was created for the sign for The Butcher and the Boar. Custom chalkboard and custom wooden plaque created for Town Hall Brewery. We can frame pretty much anything you want!!!! A small list of things we have framed...Jerseys, Puzzles, Needlepoint, Rugs, Chalkboards, Door Knobs, Tiles, Tea Bags, Wedding Dresses, Lace Hankies, Doilies, Buttons, Medals, Dried Flowers, Postage Stamps, Bottle Caps, Whiteboards, Baseball Cards, Keys, Dog Collars, Locks of Hair, Vintage Toys, Car Engine Parts, Musical Instruments, Concert Tickets, Quilts, Shadow Puppets, Double Sided Paintings, Toy Cars, Plasma TVs, Theater Programs, African Artifacts and much more. Have you ever wanted to blend your TV into your décor? We are able to build quality picture frames that fit around your TV that make it look like it's part of the room. Add a piece of mirror pane and make it look like a mirror when your TV is not on. You are sure to have all your friends and family talking.